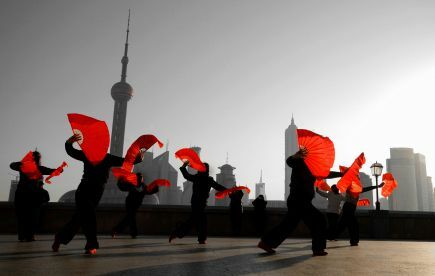 The 2010 Shanghai World Expo promised to be an extraordinary event, with over 250 countries and international organizations coming together to participate and share their culture and way of life, and it delivered in all fronts. It set many records, including the largest attendance to date, 73 million visitors! The World Expo also known as the World’s Fair is an event that has been around for over 150 years. It is sort of like the Olympic Games, except that instead of Sports, it’s about Science, Technology, Culture and Economics. 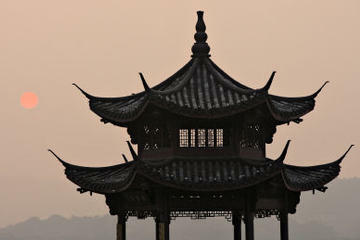 The Shanghai 2010 World Expo is expected to be the largest World Expo event ever held. The goal of the Expo is to exchange ideas, promote each country's achievements and developments in improving quality of life, and to foster relations among countries. At the Japanese Pavillion, children will be greeted by robots, as they lead you to the Statue of Monk Jianzhen, the real thing, no replicas here, one of Japan's national treasures... Their exhibit will also showcase new technology to tackle global warming, the shortage of water and an aging population, all problems Japan faces. Not to be outdone, Denmark will be bringing their own National Treasure as well, the Little Mermaid will be in Shanghai for the entire 6 month run of the Expo, and at the Danish pavillion, you will experience Copenhagen's urban way... by bicycle of course, as over 1,500 city bikes will be available to bring you their urban experience. The Dunes is the United Arab Emirates pavillion, and here you will be taken on a simulated "dream journey" to the UAE and the typical daily lives of Emirati families. Australia is shipping 2,875 Holstein cows, the freshest milk on offer will be available to visitors to the Expo! Canada's Pavillion, its artistic and public programs, are being designed by the world's famous Cirque du Soleil. The Seychelles is sending two Aldabra Giant Tortoises, which are native to the islands. This species is one of the world’s largest. The male being sent weights approximately 80 kg. The female is slightly less. The are youngsters at about 20 years old, the species can live up to 250 years! Finland is "sauna country" and as such, a 100 square meter sauna will be featured in their Pavilion to introduce Finnish sauna to the public, being the only sauna facilities at the Expo. In addition to the country pavillions, more than 100 cultural performances are planned throughout the Expo site every day!!! There are more than 20,000 events earmarked for the entire 6 month run of this World Fair. 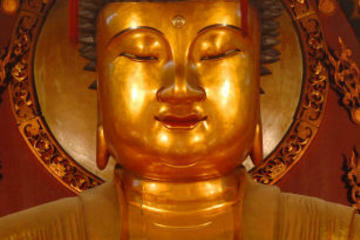 The Shanghai World Expo will take place from May 1st to October 31st 2010. 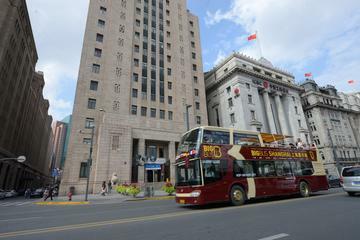 The Shanghai 2010 Emblem portrays the image of three people: You, Me, Him/Her, all three holding hands, representing the unity of mankind in one family. The Emblem was created from the Chinese character shi, which means "world" and represents the global nature of the Expo, to bring in together all the cultures of the planet. Expo Emblem from the Chinese character for "world"
It embodies the universal hope for a healthier and happier existence in urban environments. 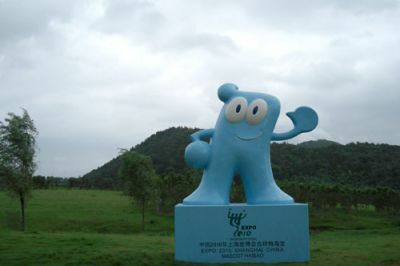 Haibao is the mascot of the Shanghai 2010 World Expo. Haibao from the Chinese Character for "people"
“Haibao” means “treasure of the sea”, representing Shanghai "the city above the ocean." 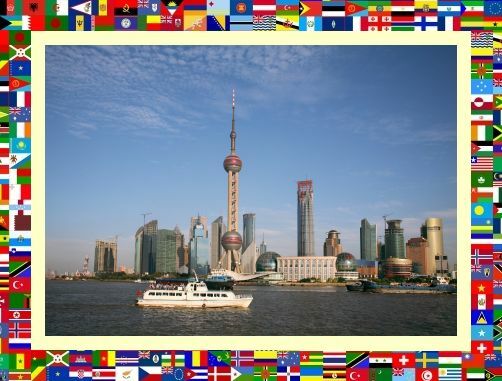 The 2010 World Expo will be to Shanghai what the 2008 Summer Olympics were to Beijing. 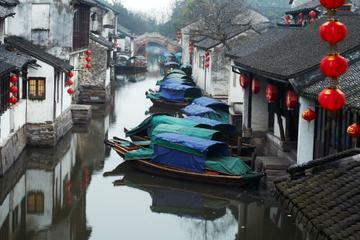 It will be Shanghai's turn to display the rich traditional culture and the face of modern China. It will be quite an event, and a very unique opportunity for us and our children to learn about the world around us. 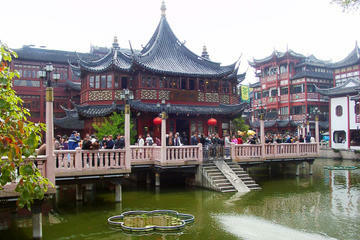 Make 2010 the year to visit Shanghai! What if you can't make it? For the very first time, an online virtual version of the Expo is available "to bring the world to the world" . Expo Shanghai Online has been launched. 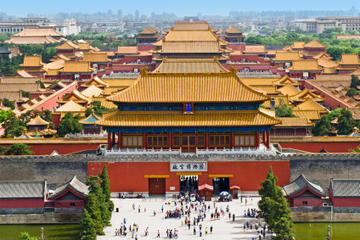 You are able to "visit" the country pavillions and there are some features to allow for interactive participation. 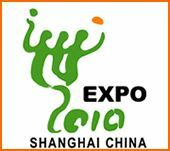 You can visit Expo Shanghai Online here.